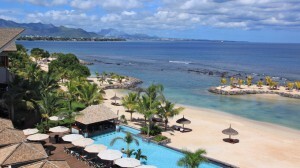 InterContinental Mauritius Resort Balaclava Fort is located on one of the most stunning parts of the island – a pristine stretch of beach overlooking the Bay of Balaclava, just north of the capital, Port Louis. The resort is 15 minutes drive from the main tourist region of Grand Baie, and 50 minutes drive from Plaisance International Airport. supervised area of 80 sq meters. Facilities: Fun kitchen, TV room, playground, sleeping area and gardens. 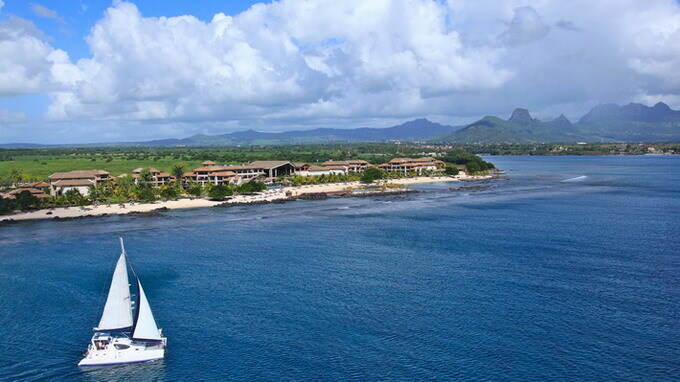 Free activities: Pedal boats, kayaks, laser, windsurfing, glass bottom boat cruise, Snorkelling and Water skiing. With supplement: Deep sea fishing, Catamaran trips and Scuba Diving. Tennis, Bocciballs, Fitness, Jogging, Aqua Gym, Beach Volley, Table Tennis, Beach Soccer, Bike Tours (with supplement). 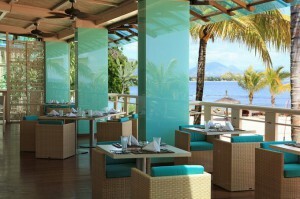 The restaurants have distinct environments and specialize in different cuisines, but all use the freshest local ingredients to make dishes that reflect the multitude of cultural influences that reside in Mauritius. The finest tastes and textures, colors and flavors from Africa, India, Western Europe and the Far East are found in the sumptuous cuisine on offer. Noble House is our Asian Fusion restaurant serving Asian food and Tepenyaki in a modern and elegant atmosphere. Our chef offers creative presentations made with authentic Asian ingredients and spices. Try the Chinese Noodles, Roasted Duck or Grilled Prime steak served with Asian mushrooms and balsamic teriyaki sauce. 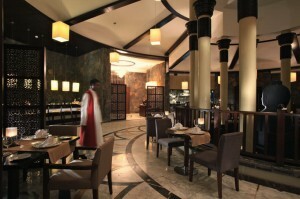 The bar features an extensive wine list as well as a selection of Asian beer and special Asian-style cocktails. Segala offers the best Mediterranean cuisine and the freshest seafood from the region from its stylish perch near the beach. Background music complements a lunch of lobster or king prawns. The bar offers a wide variety of wine, non-alcoholic cocktails and classic cocktails. Senso is a pleasure for all of your senses. With a large variety of specialty dishes from around the world, this is truly a unique international buffet. The breakfast buffet features Western and European dishes, with some Oriental specialties in colourful setting that sets a cheery mood for the day. At dinner expect authentic regional cuisine as well as dishes from Europe, India and Asia. Veda is our contemporary Indian restaurant serving traditional Indian ingredients in modern dishes. The fusion dishes are sure to please as much as the view of the garden. Complement your meal with a selection of special Indian-style or traditional cocktails. 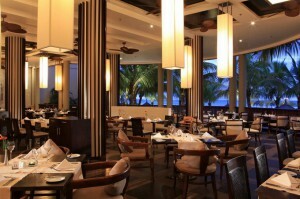 Palms is the place for a great selection of salads, sandwiches and lighter options for the health-conscious. Located by the main pool, you can enjoy a Panini burger, a fresh-squeezed juice or cocktail without venturing far from your lounge chair. Angsana Spa is based on the use of aromatherapy, the therapeutic sense of touch, and a fusion of techniques from the East and West to refresh and rejuvenate the body, mind and spirit. 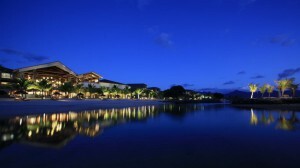 It is conceptualized and managed by the award-winning Banyan Tree Spa. Angsana Spa features seven treatment rooms including two double rooms for couples, designed with contemporary vibrancy and serenity to complement the authentic spa experience. Fully equipped and supervised gymnasium with sea view. 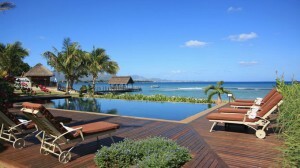 Steam, sauna, whirlpool baths, plunge pool and jet spray.